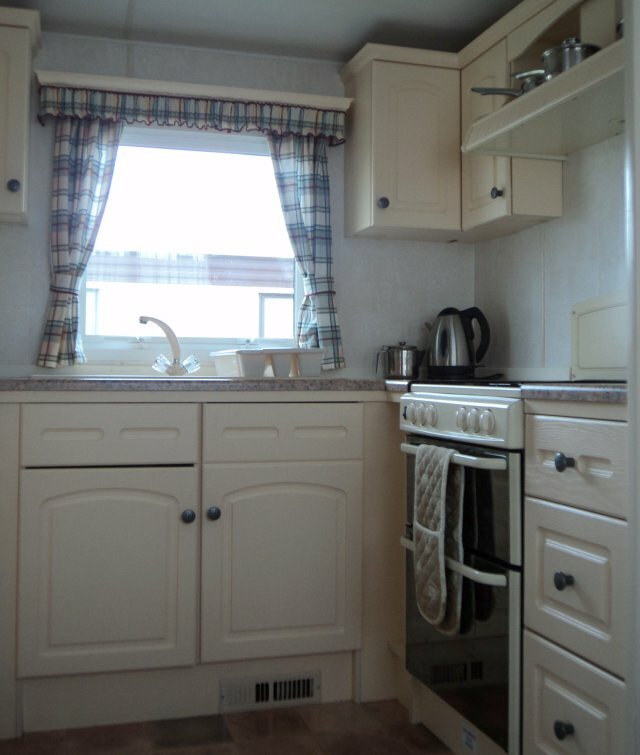 This Atlas Amethyst caravan is fully wheelchair accessible. 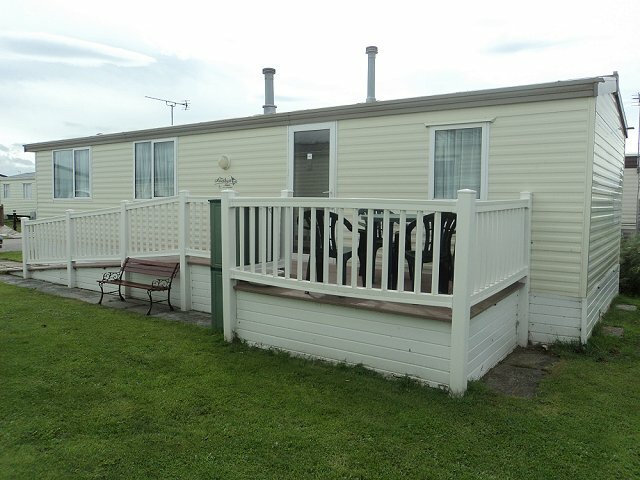 The caravan is located on the Lyons Robin Hood Holiday Park, Rhyl, North Wales. Carpets throughout are attractive and durable loop-pile type particularly suited to wheelchair users. Electrical switches, sockets and appliance controls are placed at heights appropriate for wheelchair users. The fitted kitchen includes lower level work surfaces and a recess beneath the sink unit for ease of accessibility. Quarter-turn lever taps are fitted in the shower room for ease of operation. 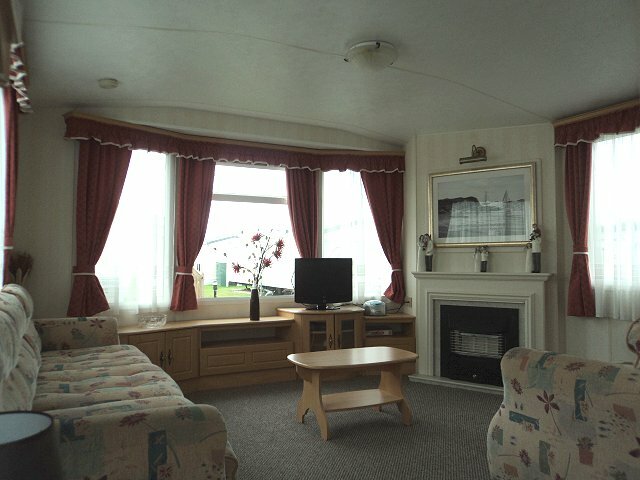 The spacious shower and toilet area is particularly well equipped. The extra-large shower base is not level accessed, but is spacious enough to transfer from a wheelchair. A folding shower seat and toilet rail is fitted in addition to the essential fixed support and grabs rails. 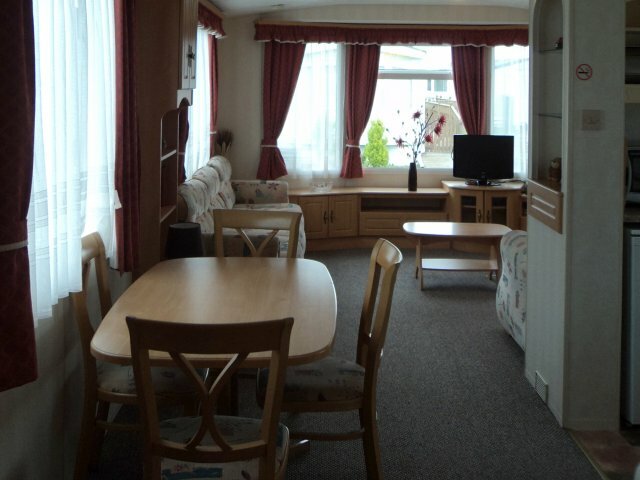 Nearby facilities include: beach (1/4 mile) and Rhyl Town Centre (1 mile).